These scarves and shawls are on the on-line shop. 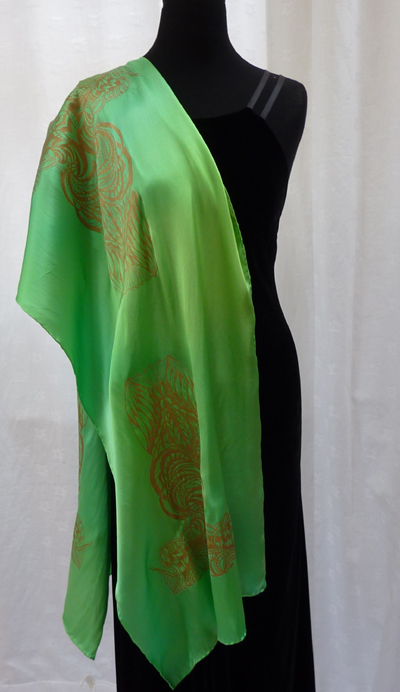 Silk viscose satin – lime green with a gold print. Hand rolled hem. Silk viscose satin. Brilliant orange with a gold print. Hand rolled hem. Silk viscose satin – devore print on cream/ivory background. Hand roll hemmed. 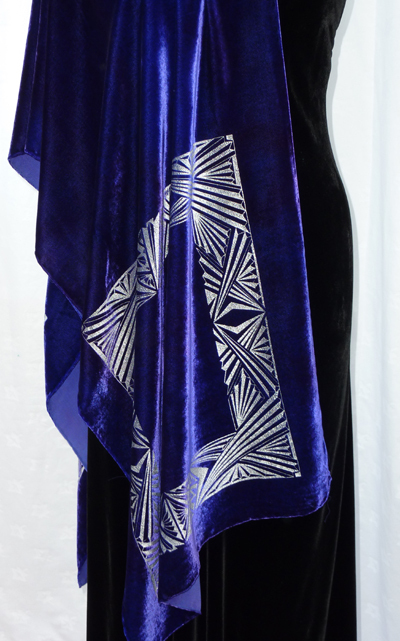 Luxury velvet scarf – velvet with a devore print. Colour: faded cyclamen pinks and soft gold. 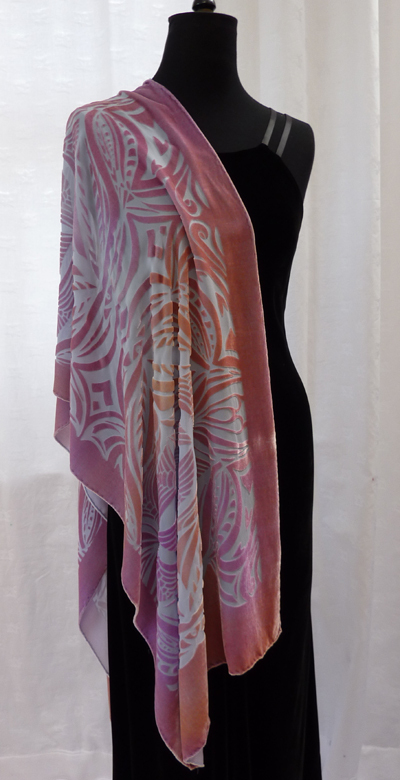 A fine light weight satin chiffon scarf – phantom print of chysanthemums and butterfly – delicate pink. Luxury evening scarf in Velvet. Rich sapphire blue with a silver geometric print. Hand roll hemmed. 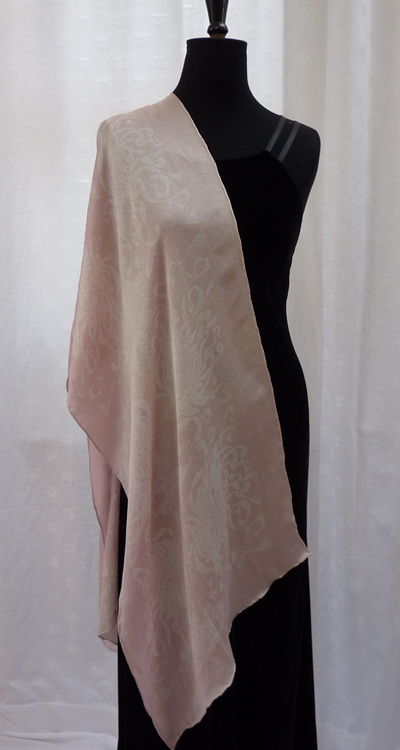 A luxurious large shawl in silk/viscose satin. Bishop pink with a phantom Deco inspired print. Hand roll hemmed. 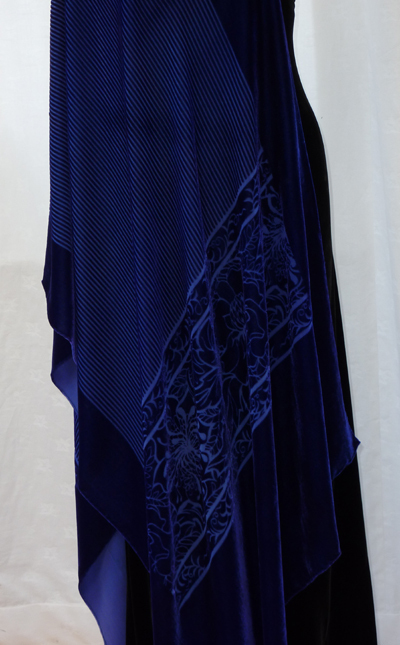 Evening luxury wrap – generous sized shawl in velvet. Devore print of stripe and stylised garden border. Sapphire blue. Hand roll hemmed. 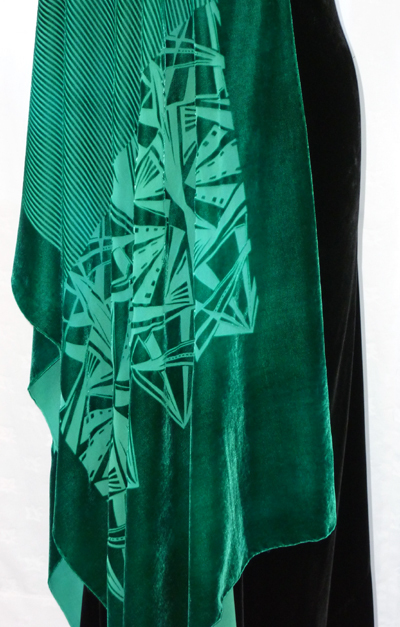 Large luxurious shawl – velvet with a geometric devore design. Emerald green. Hand roll hemmed. 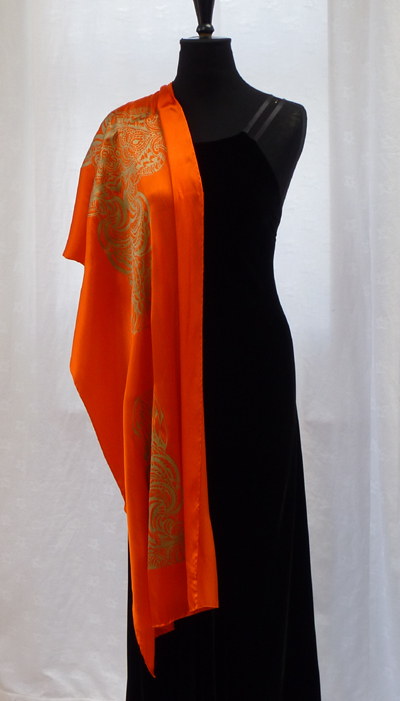 Pashmina type shawl – hand marbled in oranges and turquoise. Cormfort is the key word for this pashmina type shawl. Hand marbled in tones of purple and turquoise. Warm and light weight – this pashmina type shawl will add a touch of luxurious colour to a outfit. 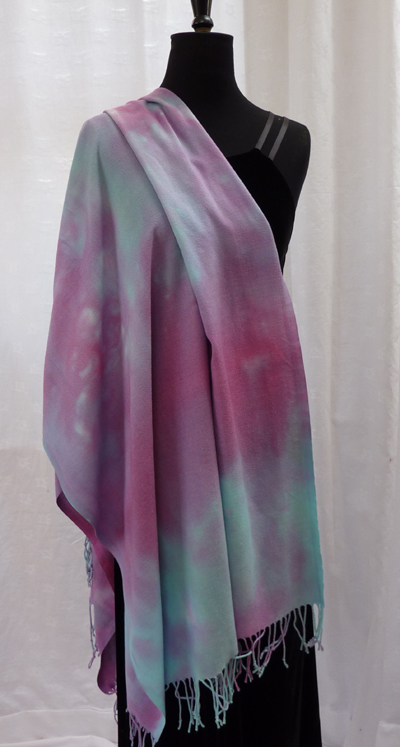 Hand painted in tones of turquoise and purples – with a touch of green.